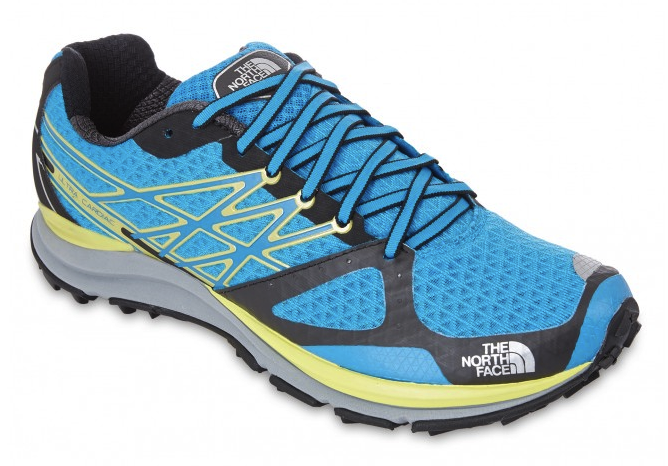 The North Face are stepping things up for 2015 with three new shoes that will allow all of us to choose a specific shoe designed for the trails and conditions we are running on. Just the other week we had a first look and several test runs in the ULTRA MT (read HERE). The ULTRA MT is a bullet proof shoe built on a firm last, 8mm drop and a super grippy Vibram sole. Sticking to their guns, TNF now have the ULTRA TR II and the ULTRA CARDIAC. As a brand, TNF have obviously decided that 8mm drop is the perfect sweet spot and comprise when coming to a one drop for all scenario. I have to say, I agree! Purest and low drop enthusiasts out there will say, no, no, it needs to be 6mm, 4mm or even lower. To an extent I agree and understand but when you are only making three shoes, you need to commit. For many, particularly when running long, 8mm provides a great compromise and as we run longer and our run style and technique fades, 8mm drop allows for some leeway. I run in 4mm and 6mm drop shoes on a regular basis and I find the 8mm option a pleasure and a joy. Ultimately, there is no shortage of shoes on the market and a selection of drops. If TNF and an 8mm drop shoe is of interest, read on. 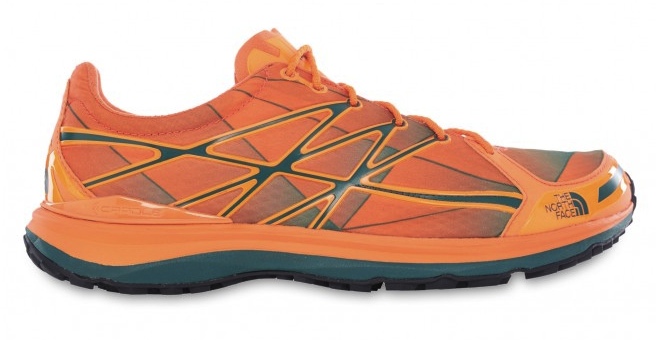 The 2014 Ultra Trail shoe received much praise for it’s look and feel when running on dry trail. However, it did gain some criticism for the the longevity of the upper! So, the launch of the Ultra Trail II is a great sign that all previous pluses and minuses have been pooled to create a new and fast shoe. 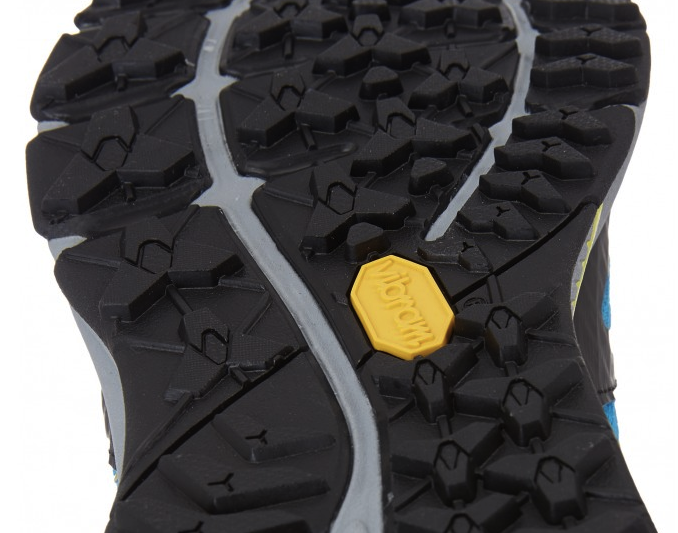 The Vibram sole of the Ultra Trail was arguably one of the highlights of the shoe, it’s great to see this carried over to the Ultra Trail II. Vibram are synonomous with grip and this sole had an abundance of grip on dry trails, rocks and road. 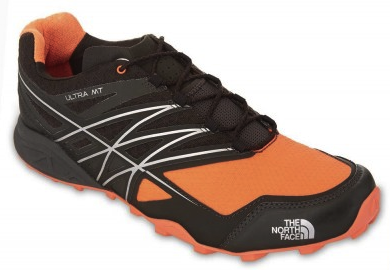 I do think that the Ultra Trail will work very well as a shoe that can switch between road and dry trail seamlessly. Influenced by cross-country spike shoes, the upper is a featherlight rip stop upper that provides a snug fit. 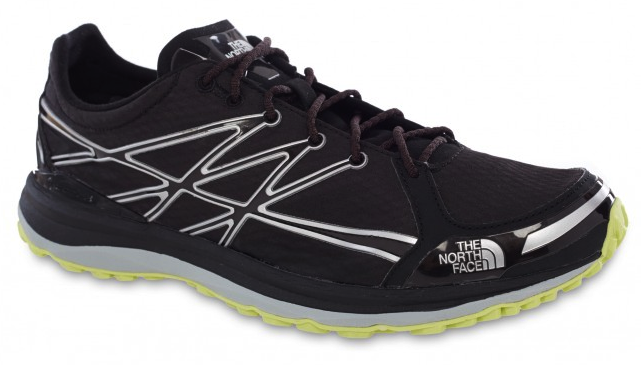 As one would expect, the shoe is using TNF’s CRADLE technology to offer support in the heel and the midsole. The Ultra TR II is a lightweight performance shoe that will weigh 230g (UK8) and without doubt, the shoe is all about speed and feel for those faster training sessions or races on dry trails. It is anticipated that the shoe will be available in two colours for men and one colour for ladies. The Ultra Cardiac looks to be an exciting shoe… I have long hailed my love for the Ultra Guide (no longer made by TNF) and on first looks, the Cardiac may well take off where the Ultra Guide finished. I hope so! The upper has FlashDry technology and it really is a great multipurpose shoe with enhanced cushioning: 20mm rear and 12mm at the front. When compared to the Ultra TR II (16mm/ 8mm) it’s easy to see how these two shoe differ not only in weight but cushioning and purpose. The Ultra Cardiac is a shoe that you can slip on, run all day on mixed terrain and not get home battered and bruised from the experience. Despite a full length Vibram sole, fast drying upper and great cushioning the Ultra Cardiac still weighs in at a lightweight 275g (UK8) which is extremely appealing. Available in one colour for men, the ladies colour option is as below and will size from UK4 to UK9. A full review of both shoes will be available in the coming months. The ULTRA TR II and ULTRA CARDIAC will be available from March 2015 prices are expected to be £85 and £105 respectively. This entry was posted in Equipment Reviews and tagged Cardiac, Mountain Running, new shoes from the north face, The North Face, TNF, tnf shoes for 2015, TNF ULTRA CARDIAC, TNF ULTRA TR II, Trail Running, ULTRA MT, Ultra Running, ultra trail, ultratr II ultra TR II by talkultra. Bookmark the permalink.